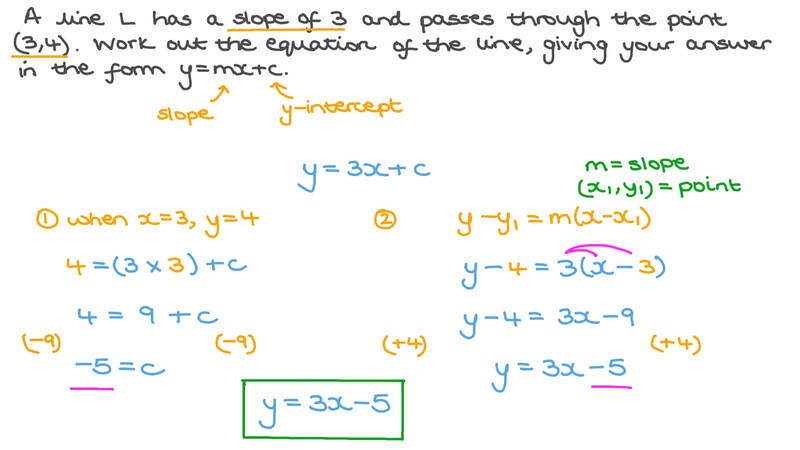 In this lesson, we will learn how to find the equation of a straight line in different forms given its slope and the coordinates of one point on the line. 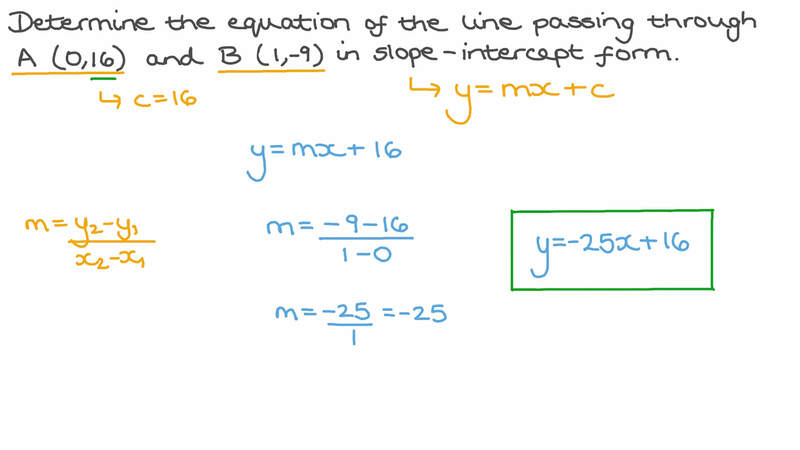 Determine the equation of the line passing through 𝐴 ( 0 , 1 6 ) and 𝐵 ( 1 , − 9 ) in slope-intercept form. A line 𝐿 has a slope of − 2 and passes through the point ( 2 , − 3 ) . Work out the equation of the line, giving your answer in the form 𝑦 = 𝑚 𝑥 + 𝑐 . Find the point of intersection between the 𝑦 -axis and the line with slope 𝑚 that passes through the point ( 𝑎 , 0 ) . Write the equation represented by the graph shown. Give your answer in the form 𝑦 = 𝑚 𝑥 + 𝑏 . 33. Write the equation represented by the graph shown. Give your answer in the form 𝑦 = 𝑚 𝑥 + 𝑏 . A line 𝐿 has a slope of 3 and passes through the point ( 3 , 4 ) . Work out the equation of the line, giving your answer in the form 𝑦 = 𝑚 𝑥 + 𝑐 . 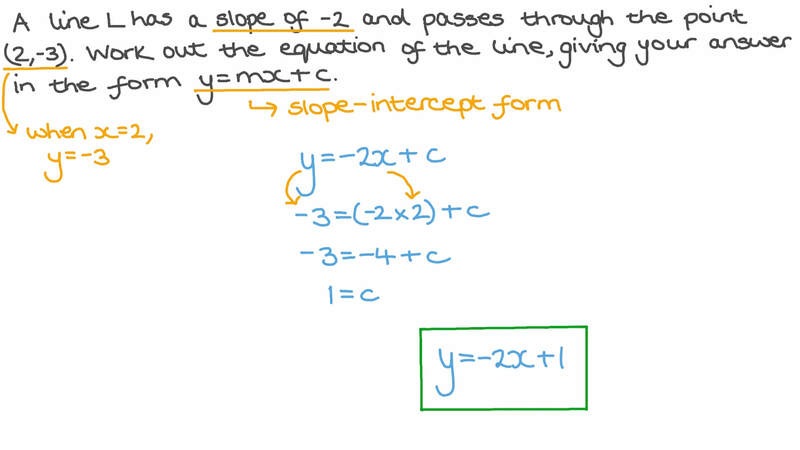 Find, in slope-intercept form, the equation of the graph with 𝑦 -intercept − 2 and slope 7.